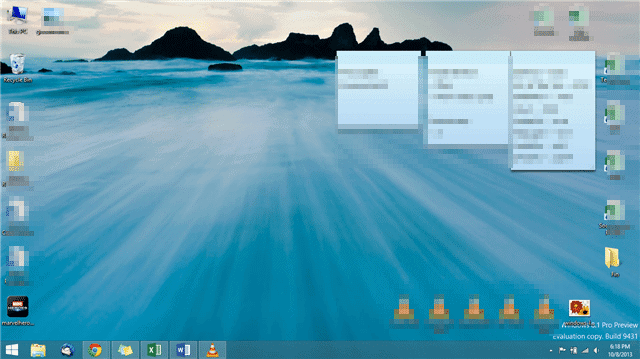 Windows 8.1’s final release has introduced the ability to return to the desktop after closing all apps automatically. This has been something users have asked for since day one and it looked like Microsoft was balking at the idea as leaked builds of Windows 8.1 emerged. However, it looks like Microsoft once again has changed its mind, and in the final Windows 8.1, you are able to return to the desktop after closing all Windows 8.1 apps. Microsoft has made all things relating to the Start Screen versus desktop boot debate complicated for users. This is a step in the right direction which gives the users an option to change how their PC works. When it comes to booting to the desktop, heading back to it and using it as the primary source of interaction with the OS, consumers who opted to buy Windows 8 or upgraded have wanted it since the first day of the release. 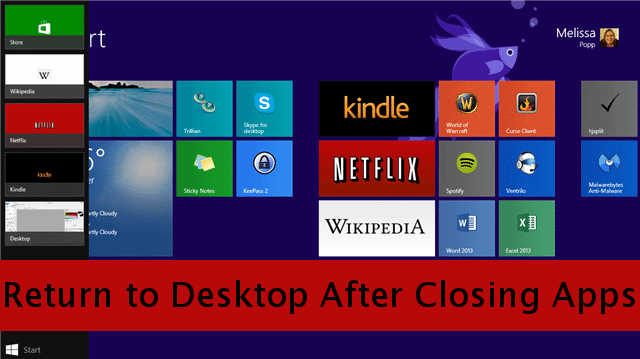 Let’s look at how to return to the desktop after closing all apps in Windows 8.1. These steps are relatively easy and will work in Windows 8 and Windows 8.1’s final release. We used Windows 8.1 for this guide but the steps shouldn’t vary much. In order to return to the desktop after closing all apps in Windows 8.1 in particular, you’ll want to head to your desktop. 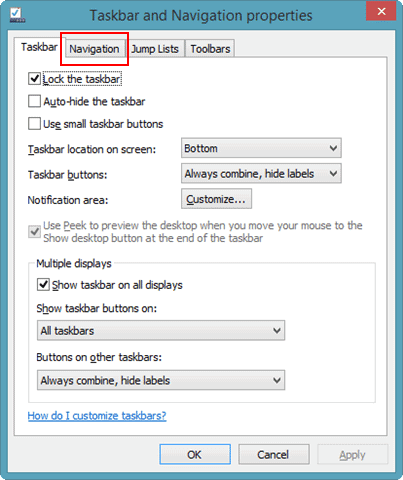 Right-click anywhere on your Taskbar to pull up its options. 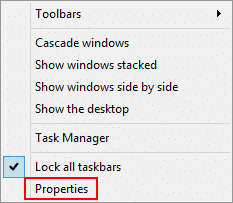 Then, click on “Properties” to open up the Taskbar and Navigation Properties. Click on the “Navigation” tab. 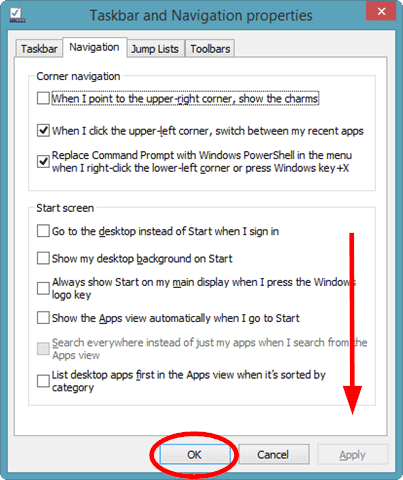 Locate the setting “When I sign in or close all apps on a screen, go to the desktop instead of Start.” Check the option next to it. From this moment on, you’ll be able to head to the desktop instead of back to the Start Screen after closing your Windows 8.1 apps. This can be a compromise for users who want to boot to desktop as well. Having both on, however, can be cumbersome for users as they may notice a conflict between both functions when enabled. If this is the case, you can turn one setting off or the other until Microsoft releases a hotfix for this. For most users, boot to the desktop may be enough but combing the two can give you the best of both worlds in Windows 8.1 by bypassing the Start Screen almost altogether. For some users, they’ve been able to restart their PC and things work just fine. For others, they’ve noticed slower boot times, the slow response time between apps and even from shortcuts right on the desktop themselves. Microsoft has yet to address any of these above issues, and it looks like you may have to use one or the other to use your desktop more for now. If you want to apply this to multiple Windows 8.1 user accounts on your PC, you’ll need to do so on each individual account. At the moment, there is no Local Group Policy forced an update that can make that happen, so you’ll have to do it the old-fashioned way to make this change on your computer. There are many ways in Windows 8.1 that you can take advantage of the desktop, including boot to desktop, not using any Windows 8.1 apps and more. Only by taking the time to truly customize the Windows 8.1 environment can you completely bypass the Modern UI that Microsoft has developed for the OS. We do encourage users to try out the Modern/Metro design because this is likely the future of the OS and you’ll only see more evolution of development down the line from Microsoft. Microsoft has proven with Windows 8.1 it’s willing to listen to user feedback in some ways and ignore it in others. For the desktop Windows 8.1 user, being able to have access to the desktop when and how they want it is important. This is just another way Microsoft has catered to that crowd. What other concessions will they make? We’ll just have to wait and see for October 17, 2013, when the final release of Windows 8.1 hits Windows 8 computers.